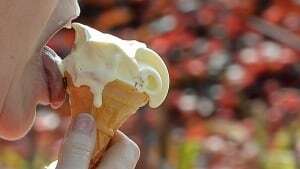 Consuming too much sugar can increase the risk of premature death from heart disease, a finding that is fuelling calls for the Canadian and U.S. governments to offer dietary limits on sugar. For an adult consuming 2,000 calories a day, drinking the equivalent of a bottle of pop sold in vending machines would exceed the level that a new U.S. study suggests raises the risk of death from cardiovascular disease (CVD). “A higher percentage of calories from added sugar is associated with significantly increased risk of CVD mortality,” lead author Quanhe Yang of the U.S. Centers of Disease Control and Prevention in Atlanta and co-authors conclude in this week’s issue of the journal JAMA Internal Medicine. The researchers analyzed national health and diet surveys between 1988 and 2010 of more than 30,000 Americans with an average age of 44. They found the fatal heart risk became elevated once added sugar intake surpassed 15 per cent of total calories. “Too much sugar does not just make us fat; it can also make us sick,” said Laura Schmidt, a health policy specialist at the University of California, San Francisco, who wrote a commentary accompanying the study. Previously, sugar used in processed or prepared foods, such as sugar-sweetened beverages, dairy desserts, candy, ready-to-eat cereals and yeast breads, has been linked to increased risks for non-fatal heart problems and with obesity. Naturally occurring sugars in fruit aren’t included. Sugar is hugely important to the trillion-dollar processed food industry, said Michael Moss, a journalist in New York and author of the book, Salt Sugar Fat. “They’re a very powerful lobby,” Moss said in an interview Tuesday. The Canadian and U.S. governments don’t provide dietary limits for added sugar and there isn’t a consensus on how much is too much. To get a sense of sugar amounts, Freedhoff suggests that consumers take the number of grams of sugar on a package and divide by four to get the number of teaspoons. Yang’s findings add to a growing body of rigorous studies that demonstrate added sugar “is not as benign as once presumed,” Schmidt said. Schmidt notes that the American Heart Association recommends no more than 25 grams a day or six teaspoons of sugar for women (five per cent of a 2,000-calorie a day diet) and 38 grams or nine teaspoons a day for men (7.5 per cent of daily calories). In 2005, a panel at the Institute of Medicine, which advises the Canadian and U.S. governments, recommended added sugar make up less than 25 per cent of total calories. The World Health Organization (WHO) recommends less than 10 per cent. Expert committees from the Institute of Medicine have concluded there’s no evidence of harm attributed to current sugar consumption levels, the Canadian Sugar Institute said in a statement to CBC News. other factors that contribute to heart problems, including smoking, inactivity and excess weight into account. Posted on May 29, 2014 by Health and Food MattersPosted in ArticlesTagged disease, Heart, sugar.